Nominations have now closed for the general categories at November’s Big Indie Awards at Korea’s G-Star conference and expo. With one notable exception: to celebrate and highlight Korean talent, the deadline for entries for the Local Developer Award is still open until the end of the month, 31st October. Find out more about the awards here, or make your nomination here. What is the Big Indie Awards? This November we'll be hosting the Big Indie Awards in Busan, South Korea, in association with our 2018 season sponsors G-STAR. It celebrates the best and brightest in the indie games scene. Eligible platforms include mobile, portable, mobile VR and AR. 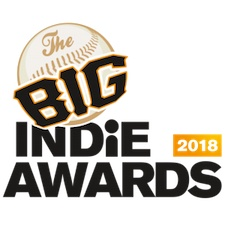 All developers who've been a part of the Big Indie Pitch since last year will automatically be considered for the first round of remote judging, and all of those that walked away with a prize in the last 12 months being guaranteed a place in the second judging round. The overall winner will get a Silver Steel Media Preferred Partners package worth $10,000, in order to promote their game on the Steel Media network. Plus they'll receive a table package at an upcoming PG Connects event. The table includes a table, power, two chairs and two developer tickets to the conference, and is worth $250. The 2nd place will get a Bronze Steel Media Preferred Partners package worth $5,000 plus a $250 PGC table package. The 3rd place will get a Bronze Steel Media Preferred Partners package worth $5,000 plus a $250 PGC table package. The special Local Developer award winner will get a Bronze Preferred Partners package worth $5,000 plus a $250 PGC table package. The top three will also be awarded flights and accommodation for a trip to Busan, South Korea, plus entry into the awesome G-STAR 2018 show, one of the biggest games shows in the world. There, you'll receive on-stage adulation at the ceremony during G-STAR. Naturally, there’s also a fair amount of media coverage associated with that event. Plus you'll walk away with a posh award to put on your mantlepiece.